Check the writing in the image below. Do you find anything missing. Well yes, Hijabiz forgets a vital point. People must clarify such statements instead of leaving them with oversights as in the one above by Hijabiz. If you sin, then repent sincerely and ask forgiveness, InshAllah, you can hope for the forgiveness of Allah. But it's unlikely for a person to sin again and again unknowingly unless one is seriously demented. If you perform unethical deeds repeatedly with repeated requests for forgiveness after each wrong deed, presuming that simply asking forgiveness will redeem each of your sins, then you are wrong. Such an approach has been rejected by Allah in the Noble Quran. "And those who, when they do an evil thing or wrong themselves, remember Allah and implore forgiveness for their sins - Who forgiveth sins save Allah only ? - and will not knowingly repeat (the wrong) they did. The reward of such will be forgiveness from their Rab, ...." (3:135-136) Surah Al-Imraan. The way Hijabiz has put its statement sounds like sinning is no problem, anytime anywhere any day, just as long as you keep asking forgiveness. It's not as easy as that. You need to be prudent and watchful of your deeds. You're not a kid. You know the difference between good and bad, right and wrong. You're aware of yourself when your intention wavers. All such aspects combine to make up every single deed. If you have asked forgiveness for a particular wrong deed in the past, you will remember it. If you get tempted to perform similar or different wrong deeds in future, you ought to be aware that you have already promised Allah Almighty that you will keep away from sins after He forgave you earlier. If you are "tired" of asking forgiveness, it only proves that you are a repeated offender. That needs to be absolutely avoided by making sure that you are quick to avoid sins. This is an old habit of hadithists. They always take Allah's mercy for granted. Instead of getting tired to committing sins, they focus on not getting tired of asking forgiveness, implying it's fine to commit sins as long as you keep asking forgiveness as lip service. A glaring example of such a mindset is that prize-winning nonsensical hadith claiming that performing wudu washes away sins. Who the heck is "hijabiz" ? It's a timeline page on Facebook and Tumblr. A glaring example of such a mindset is that prize-winning nonsensical hadith claiming that performing wudu washes away sins. According to hadith something as benign as fart can spoil the wudu, but that same wudu can wash away the most awful sins of zina for example, like water washes away physical dirt. Where is their rationale, I ask? LOL, very rightly assessed Sister Ruhi. Actually with these folks it's all about promoting self interest. Allah will deal with them, InshAllah. This is a very common problem. It's now spreading from the common circle to the circle of so-called ulemas. Just yesterday I came across a Facebook page titled "Dua: Fortress of the Muslims" the following illustrated post. Read it and then try to figure out the omission. 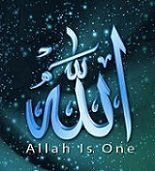 Indeed the Mercy of Allah Almighty is infinite. But that doesn't mean you take advantage of it and prepare such a protracted list of sins! Already most folks within our Ummah have little or no realization of the importance of avoiding sins. Instead they are comfortable with a weak will-power which repeatedly prevents them from rejecting sinful temptations, taking for granted that the ritual of asking forgiveness during supplication will erase all of their sins. What sort of message this post may convey to impressionable minds isn't hard to guess. Demanding supplications like these shamelessly insinuate to bypass Judgement and consequently people with weak iman will only feel more encouraged to sin rather than strive to avoid sins. Think of it this way: There are two persons; one of them strives to strengthen his will-power and is able to avoid many sins. The other considers the strengthening of his will-power too cumbersome and consequently caves in to sins, comforting himself that dua for forgiveness is always at his service to help him back to piety. Do you think both these persons will be equal on the Day of Judgment? Anyone who thinks the answer is 'yes' needs to get their facts straight and also work hard on improving their very scant IQ. @ Sister Ruhi ,, LOL. Ahaahaha toha ha. If it was so simple then why would the Noble Quran consist of 114 chapters? In that case Allah could have only said that do what you like, just make sure you ask forgiveness. You're right brother, these buggers are only interested in finding shortcuts to bypass Judgement. They know it's not possible to avoid Judgement, so they try to sooth their jittery hearts by composing strange supplications with awkward insinuations. Seems like the admin of this facebook page is himself or herself a repeated sinner. That's why it was probably easy for that person to remember such a marathon list of sins. What next? I won't be surprised if they soon start making dua asking forgiveness for disbelief. These dubious so-called Muslim pages in social networking sites are appalling. Thanks for the helpful comments brother and sister. That should clarify the matter to our readers, InshAllah. Otherwise, these types of supplications can misguide weak Muslims who would very happy to read such stuff thinking they're now free to commit any transgression just as long as they come home and ask forgiveness in their next dua after salaat.